So it started pouring it down the other day when I went to take these photos, and the weather has been pretty rubbish since so I had to do a little indoor shoot with the pieces for you to see a few close up details. 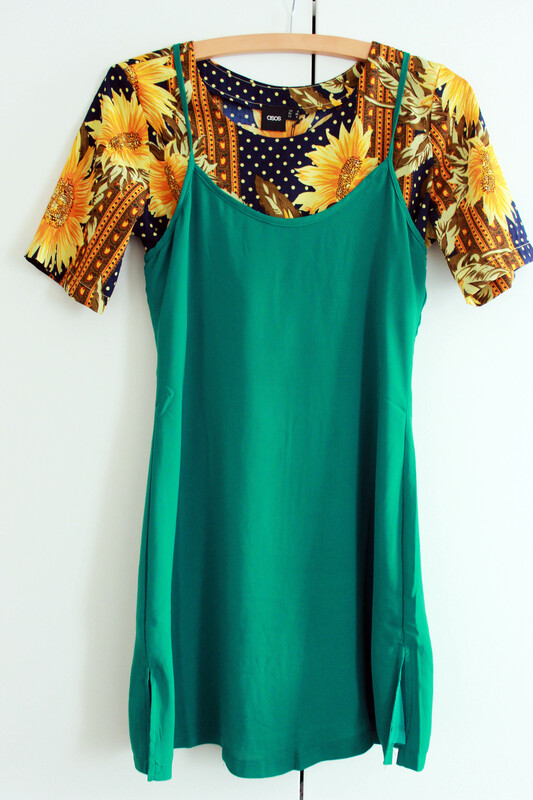 This cami dress was sent to me by Fashion Union last week, I absolutely love it and I'm looking forward to pairing it with more printed tees. It will probably be one of my go to pieces as soon as the warmer weather arrives....soon please guys, soon! I am liking the detail on the back with the dainty metal bar, again I'm sure it is going to look wonderful against my tanned skin in the summer, paha like my Scottish skin is even capable of a tan but you get the idea. So a big thank you to Fashion Union! 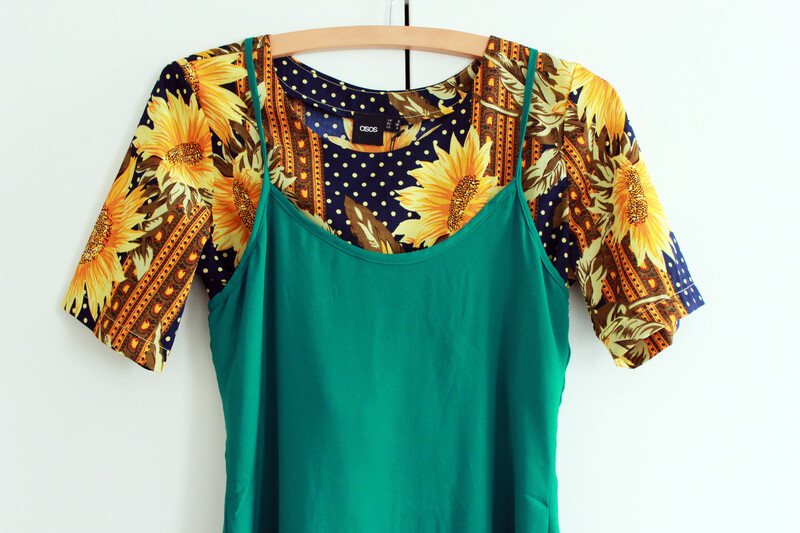 The boxy sunflower print crop top is a new piece which I purchased from ASOS not too long ago now. I am totally in love because it is not only a crop top but it has a matching skirt which attaches to create a smock dress. That's right ladies you heard right, three pieces in one - perfection. Check out the dress here. A very beautiful outfit, you look great! 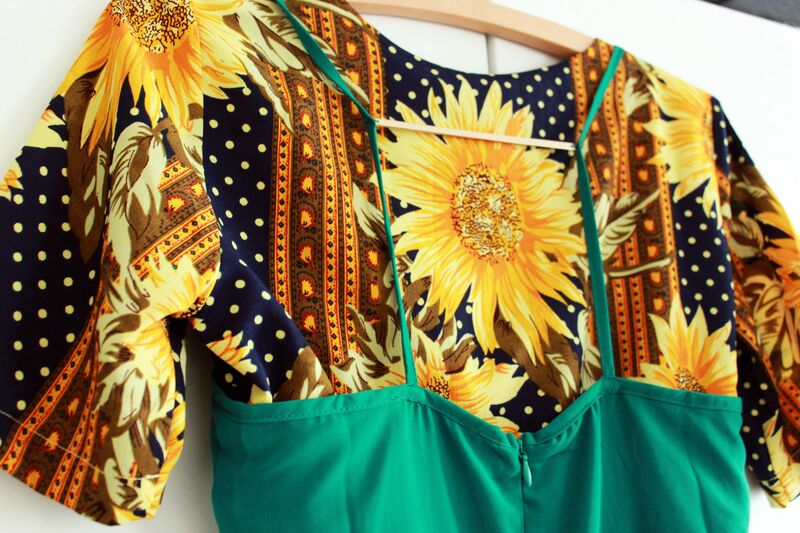 I love this outfit combination; the sunflower print is perfect ! Such a cute dress and a really lovely colour! Wearing it over the crop is so 90s, I love it.